David Nayar is an experienced lawyer with over 25 years standing in the profession. He is the Sole Proprietor of the firm David Nayar and Vardan. Mr Nayar’s experience over the past two decades is extensive in both civil and criminal trial and in the appellate processes. He is also very versed in family, divorce, custody and probate matters. Mr Nayar’s experience also extends to shipping, logistics, commercial transactions, corporate mergers and acquisitions, joint ventures, landlord and tenant disputes and arbitration. Senior Teaching Fellow of the Singapore Institute of Legal Education since 2011. He teaches students of the Part B of the Singapore Bar Examinations in the areas of Family Law Practice, Wills, Probate & Administration and Ethics & Professional Responsibility. Tutor in the Singapore Post Graduate Law Course in the areas of Family Law, Wills & Probate and Legal Professional Responsibility from 2000-2010. Volunteering at Free Legal Services Clinic at the Tampines East Community Centre from 2001 to present. Appointed as the Advisory Panel of Maintenance Support Central established by the Singapore Council of Women’s Organisations (SCWO) from October 2011 to September 2012. Provided free legal aid to the Catholic Legal Service from 2001-2005. With extensive experience over the past two decades, Mr Nayar is very versed in family, divorce, custody and probate matters. 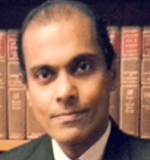 Mr Nayar’s experience over the past two decades is extensive in both civil trial and in the appellate processes. He is also very versed in family, divorce, custody and probate matters. We have successfully addressed and assisted clients in minor to major offences, including shoplifting, criminal breach of trust, sexual offences, and driving offences, among others. Fees differ for cases depending on complexity, click on “Email Lawyer” at the top to enquire.